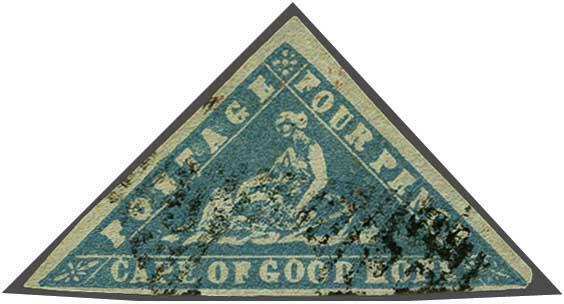 Provisional Issue 1861 (March): Woodblock 4 d. pale bright blue on laid paper, a used example with close margin at base and lower right corner, large even margins on the angled sides, cancelled by CGH obliterator in black with trace of red cancel at right. Cert. 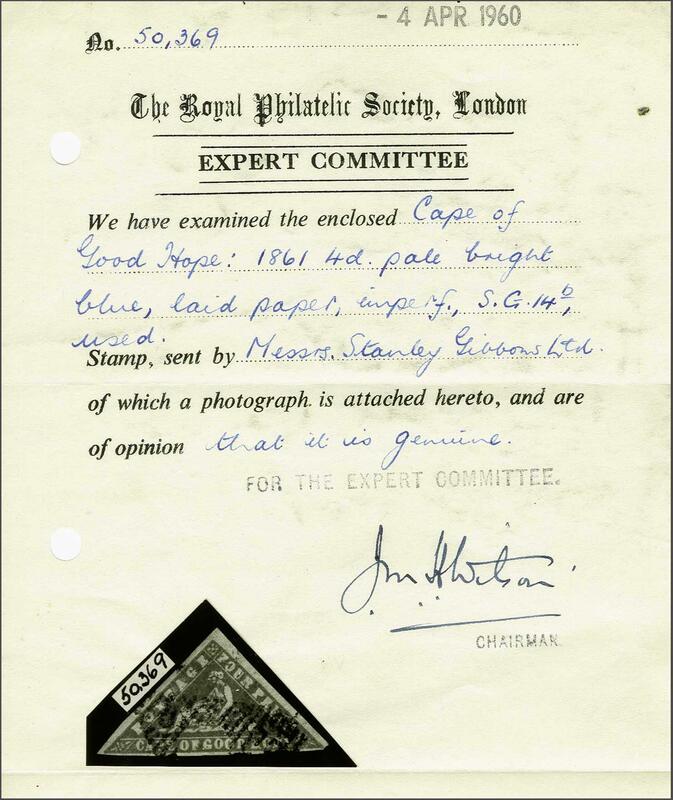 RPSL (1960) Gi = £ 2'250.